The weeks leading up to a home purchase are super stressful. Between the home inspection and finalizing your financing, you also have to start packing up your entire life and maybe arranging for movers — or even selling your old house under a tight timeline. Then there’s the actual closing, when you sign your life away on about 500 different forms. But after closing, the real fun begins. Now you’ve got this house to deal with. And if your home, like ours, is full of fixer-upper flaws charm… it can be very overwhelming. Seven years ago this month, we bought our house — our first home. It was exhilarating, but also terrifying. We found that focusing on a few small, manageable-but-productive tasks during our first week of home ownership made us feel way more in control of things during a period that could have easily spiraled into existential despair. 1. Take a few days off. The first week or two in your new home will be an adrenaline-fueled flurry of phone calls, fixing stuff, unpacking, and waiting — for deliveries, contractors, and Internet installers. Trying to squeeze all that in around your job will only make it more stressful. You just bought a house — it’s a big deal, and something you’ll probably only do a few times in a lifetime. Allow yourself to take some vacation or personal days. 2. Do any improvements or repairs you can before moving in. Whether you do it yourself or hire a pro, it’s infinitely easier to do work on a house when no one is living there. This is especially true for those projects best done without furniture in the way, such as interior painting, plastering, or sanding and refinishing hardwood floors. And if your home needs some work behind the walls — such as updating knob-and-tube wiring or replacing rusted-out pipes — do it now, before you get settled in, if at all possible. You’ll be glad you did. 3. Change your address and set up utilities. For starters, alert the post office that you’ve changed your address, so they can forward mail to your new home. However, that service only lasts for a few months, so you should also start changing your address on all of your important accounts, such as your workplace benefits, bank accounts, credit cards, car and health insurance, magazine subscriptions, and memberships. Likewise, call up the gas and electric companies and tell them you’ve moved. In most cases they’ll just transfer your account to your new address. You can often do the same with your cable or Internet provider, too, if you’re moving within the same service area. Otherwise, investigate your local options and call to set up service while you’re home getting settled. 4. Clean (or book a cleaning). Before you unpack, and ideally before the furniture arrives, clean like mad, or hire a house cleaner to do a one-time deep clean (check for deals on Handy, Groupon, or Angie’s List — you shouldn’t have to pay more than $100-$150). You don’t have to be a clean freak to appreciate that living in your own mess is very different from living in someone else’s. Vacuum and wash carpets (rent a carpet cleaner if you need one), sweep and mop the floors, bleach the entire bathroom, clean the fridge and the oven and all the sinks, and wipe down all your cabinets, drawers, shelves, and closets. Even if you like and trust the previous owner, there’s no way of knowing how many copies of your house key are floating around – or who has them. (That reminds me: Our electrician still has a key to our basement. Um, I should probably get that back.) 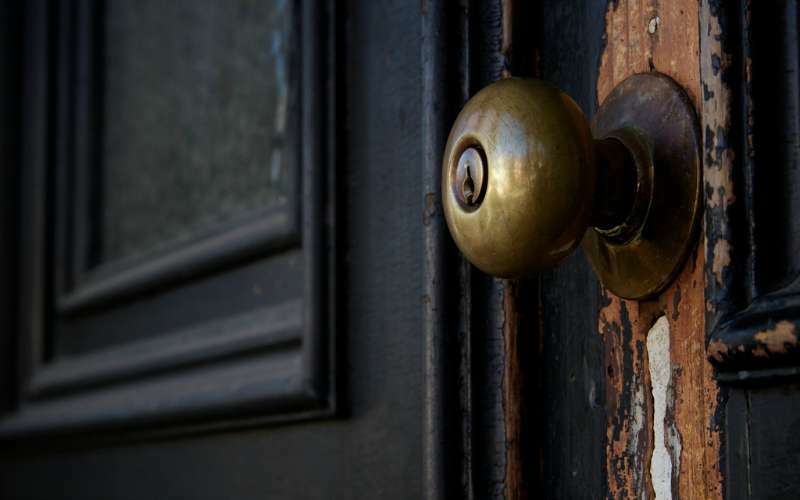 A new door hardware set will only run you about $50, and it’s well worth the peace of mind. While you’re at the hardware store, get a few extra copies of your new key made, and give one to a trusted friend, neighbor, or relative for emergencies. 6. Find out where your shut-off valves are. One of your first lines of defense when it comes to common homeowner emergencies — burst water pipes, for instance — are shut-off valves. Turning off the water (or gas, or electricity) is like being able to slam on the brakes when you’re driving. Your circuit breaker acts as a shut-off for your home’s electricity. Individual circuits will control the electric flow to certain rooms or appliances — one breaker switch might shut off all the overhead lights, while another might control the refrigerator and the microwave outlets. Get familiar with the circuit breaker, and note where the main shut-off switch is to turn off all power in an emergency (if water is leaking into a live light fixture, for instance). 7. Plan now for emergencies. Also, look up the numbers for poison control and local emergency services (if it’s not just 911) and put them on the fridge. Check all your smoke detectors and replace the batteries if you need to — you can also ask the fire department to come by and inspect them. Finally, find all of your emergency exits, and make a family fire plan that also designates a meeting point outside. 8. Use your home inspection report to plan future upgrades. Your home inspector should give you a comprehensive report indicating the condition of all the major systems and structural parts of your home. Ours probably had like 50 items that “needed attention,” and this originally formed the basis of our long-term home improvement game plan. From there, we made some lists: The stuff that was fairly easy to accomplish — or simply critical — went on the short-term, right-away list. Make sure there are some gimmes on there to help you build momentum! The stuff that can wait may have to wait. 9. Get a small safe or filing cabinet. Even if you’ve never had one before, you’re probably going to need a filing cabinet or small safe now. 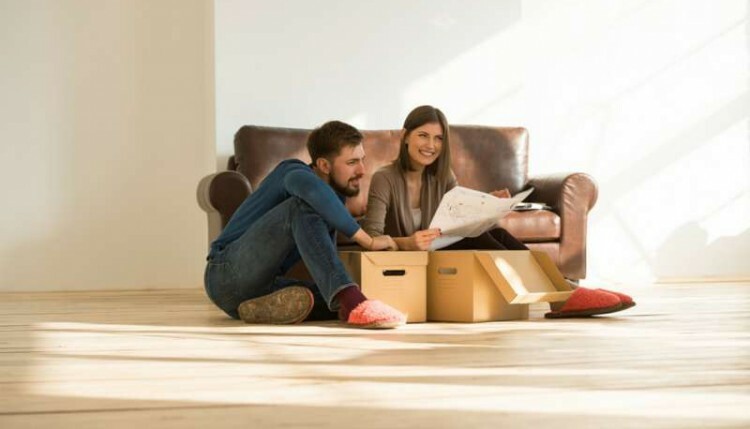 File your closing statement and all the paperwork from your home purchase — that’s important stuff, and you’ll need it come tax time at the very least. And that’s just the beginning of a lot of paperwork you’ll be filing from here on out. Keep receipts and instruction manuals for any new appliances you buy, your insurance and property tax bills, and any estimates or receipts from contractors as you make improvements. 10. Create a seasonal home maintenance checklist, and start using it. There are some maintenance tasks you’ll have to do to your home annually or semi-annually to keep it in good shape. And depending on the season you move in, it’s probably time to get started on some of them. Test your smoke detectors: Fire safety folks recommend doing this whenever the clocks spring ahead or fall back. Change any dead batteries. Clean your gutters: Leaves and other debris from fall and winter may have choked up the works, and you want them free and clear before April’s heavy rains. If you have a one-story house, this is easy to do yourself; if your home is two or more stories or you’re afraid of heights, it should only cost about $60-$100 to have a pro come and do it. Clean out your dryer vent: Your lint screen may be full of fuzzies each cycle, but a lot of it is still getting into that space-age silver tube. Clean it out with a vacuum or a long, bendy brush once a year to improve your dryer’s efficiency (and so it doesn’t catch fire). Install window A/C units (or check central air units): Trust me, the time to lug these things down from the attic and wrestle them into place is before the first scorching hot day, not right in the middle of it. Clean the filters before firing them up for the season. Clean ceiling fans: They can get pretty dusty up there sitting idle all winter long. Stain or paint the deck: Every other year or so, you’ll need to add another coat of stain to your deck’s floorboards (the railings and spindles can usually go five years or more). On a dry spring day, give it a good cleaning, and then strap a roller brush to a broom handle and slap another coat on there to protect the wood. Chimney sweep: You should get your main boiler or furnace chimney swept every couple of years — buildup in there can cause a chimney fire. And if you have a wood-burning fireplace or wood stove, get that cleaned out every couple of years or every time you go through a cord of wood, whichever comes first. Boiler/furnace clean-out: Before heating season begins, you should get an inspection and the recommended annual maintenance on your boiler or furnace. If you get oil delivery, your oil company should take care of this for you. With gas, you’ll need to call your own plumber or heating technician. Since we have a pretty new gas steam boiler, our plumber told us we could do it ourselves: Just flush out all the water that’s in there (draining into a bucket and dumping it outside or down a drain), and then fill it back up. Repeat that a couple of times and you’re good to go. Store hoses and turn off the water to outside spigots: You don’t want water freezing in your garden hose or faucet and breaking the pipes. In the basement, just follow the pipe from the faucet to the nearest shut-off valve, and turn it clockwise or so it’s perpendicular to the pipe. Batten down the hatches: Move patio furniture into the garage (or at least take the cushions inside), cover up the grill, and remove and store your window A/C units (or cover up your central air unit). Move snow shovels, deicer, and other snow gear to an accessible spot in the garage or shed. Tune up your snowblower: Snowblowers take a beating each winter — the metal parts get soaked, they get road salt inside them… it’s easy for them to get rusty and crap out on you. But you want yours ready to perform well when that first foot of snow falls. This year I plan on taking mine for a tune-up in the fall so it’s all set to go — you can often find a deal on Angie’s List, and you shouldn’t have to pay more than $100 for this type of service. Let’s face it: Unless you’re downsizing, you might need some new home furnishings to fill out your new place. And for most of us 99 percenters, that means an IKEA run. Maybe you’re moving from a small galley kitchenette to a large eat-in kitchen, or your old couch was too big or too ratty to move. Whatever the case, if you need to fill some empty rooms, the Swedish home goods superstore is a good starting point. What do I mean by a starting point? You’ll have made a LOT of big decisions in the past few months, and you may not be ready to commit to an $1,800 living room set the same week you move in. You may do better living in the house for awhile before you make those kinds of design choices. Meanwhile, IKEA furniture is cheap, functional, and attractively designed, so you usually can’t go wrong getting basic items here. What’s more, IKEA items hold their value surprisingly well — at least in a college town like Boston — so you can start with stuff that’s fairly cheap and functional and upgrade at your own pace. Finally, do not go to IKEA on a weekend if at all possible! Browse the catalog first to research the stuff you want to see in person, and then make a targeted trip around 7pm-8pm on a weeknight. You can zip through in under an hour without the mobs of people in your way, saving you time and certain rage. And make sure to go with an empty trunk! When we went to buy our sofa, we brought the kiddo. Despite the flat-pack design, the sofa wouldn’t fit with her car seat in the back, even with half the back seat folded down (I don’t know why I thought that would work). So I had to leave my wife and kid at IKEA and race home with the sofa. The worst part was that they were still inside the store and had no idea I was doing this — there’s no cell service in there. So I sped home, dumped the sofa in the driveway, and raced back, anxiously hoping that I got there before a) they went looking for the car or b) a toddler meltdown ensued. The good news is, it’s IKEA, and it takes anyone a couple of hours to get through the store, much less someone with a dawdling toddler. They didn’t even know I was gone. Whew. 12. Throw a housewarming party. Your first few weeks in a new house are going to be filled with the adrenaline and excitement that comes with such a big life change. Now, trust me on this: You need to tap that energy and get everything done that you can before the adrenaline wears off. Don’t lose steam. For most people, whatever isn’t unpacked after about two months just stays in boxes and gets shoved in a closet. If you haven’t put pictures up on the wall after a couple of months, you’re going to be looking at empty walls for a long time. Once you stop going all-out in move-in mode, it becomes really, really hard to get going again. After all, it’s exhausting, and you deserve the rest! That’s why throwing a housewarming party is a great idea after you move in. It gives you a defined deadline to get the place in order, and puts just the right amount of motivational pressure on you to keep at it. It’ll force you to confront those stray boxes and make tough decisions about what to do with them. It’ll push you to get the walls painted and decorated and to assemble that IKEA desk that’s been sitting in a box for two weeks. If you don’t do it now, there’s honestly a good chance you’ll be using that box as your desk six months from now. And finally, accept that once the party arrives, you’re allowed to relax. You’re done. This is your home now, and this is what home looks like. You’ll make many more improvements to it, but for now, enjoy it.